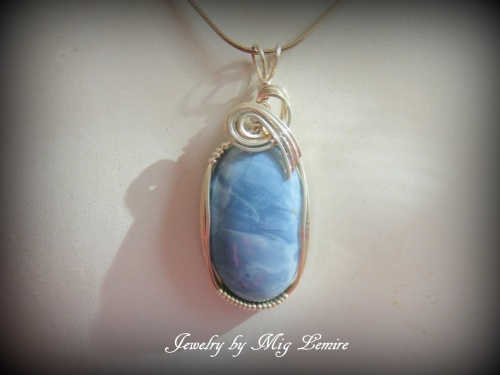 Sweet Blue Opal gemstone embellished with a sterling silver frame and curl. Sky blue color just mesmerizes you when you look at it. Piece measures 2" from very top of bail to bottom of pendant and 7/8" wide. Comes with a sterling silver snake chain.